The U.S. has agreed to pay more than $2 billion to veterans who developed any of eight diseases linked to their time spent at Camp Lejeune, North Carolina, between Aug. 1, 1953, and Dec. 31, 1987. U.S. Dept. of Veterans Affairs Sec. Bob McDonalds speaks to the media on Saturday, Sept. 27, 2014 in Cincinnati. McDonald toured the Cincinnati VA Medical Center and met with staffers and greeted veterans. He has been visiting centers around the country and has had hospitals hold town meetings. The Obama administration has agreed to pay more than $2 billion to veterans who developed any of eight diseases linked to their time spent at Camp Lejeune, North Carolina, between Aug. 1, 1953, and Dec. 31, 1987. The decision was quietly made public Thursday with a notice in the Federal Register, the government’s official journal. Roughly 900,000 Marine Corps veterans breathed a sign of relief on Thursday as a decades-long fight over contaminated water came to an end. The Obama administration agreed Thursday via the Federal Register to pay more than $2.2 billion over a five-year period from those who suffer the following medical conditions: adult leukemia, aplastic anemia, bladder cancer, kidney cancer, liver cancer, multiple myeloma, non-Hodgkin’s lymphoma and Parkinson’s disease. The decision was made after VA Secretary Robert McDonald determined that “sufficient scientific and medical evidence” exists to prove a linkage between health problems and those who spent at least 30 cumulative days on the base. Mr. Ensminger’s daughter, Janey, was born while he was stationed at the base in 1979 and died at age 9 of leukemia. Spurred by Ensminger’s case, Congress in 2012 passed a bill signed into law by President Barack Obama extending free VA medical care to affected veterans and their families. But veterans were not automatically provided disability aid or survivor benefits. The issue has prompted lawsuits by veterans organizations, which note that military personnel in Camp Lejeune housing “drank, cooked and bathed” in contaminated water for years. “Expanded coverage is making progress, but we also need to know whether the government may be purposefully leaving people out,” said Rick Weidman, executive director of Vietnam Veterans of America. Veterans groups investigating the issue uncovered documents showing tests confirming contaminated water in the early 1980s, AP reported. Although some drinking wells were closed, others that were tainted by a leaking fuel tank off-base remained operational. 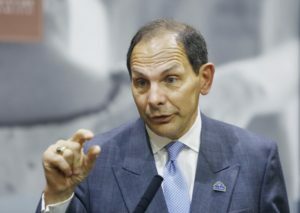 Beginning in March, the cash payouts from the Department of Veterans Affairs may supplement VA health care already being provided to eligible veterans stationed at the Marine base. Veterans will have to submit evidence of their diagnosis and service information. The new rule covers active duty, Reserve and National Guard members who developed one of eight diseases: adult leukemia, aplastic anemia, bladder cancer, kidney cancer, liver cancer, multiple myeloma, non-Hodgkin’s lymphoma and Parkinson’s disease. Affected veterans who were stationed at Camp Lejeune may now submit applications for benefits, once the rule is officially published Friday. Roughly 1,400 disability claims related to Lejeune are already pending, and will be reviewed immediately, according to the VA.
* Please note: We are generally not able to help those who have been dishonorably discharged.